1985. Kazumasa Yuuki, a seasoned reporter at the North Kanto Times, runs a daily gauntlet of the power struggles and office politics that plague its newsroom. But when an air disaster of unprecedented scale occurs on the paper’s doorstep, its staff is united by an unimaginable horror and a once-in-a-lifetime scoop. 2003. Seventeen years later, Yuuki remembers the adrenaline-fueled, emotionally charged seven days that changed his and his colleagues’ lives. He does so while making good on a promise he made that fateful week—one that holds the key to its last solved mystery and represents Yuuki’s final, unconquered fear. 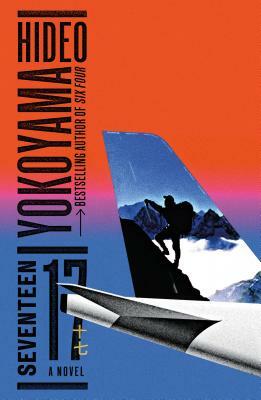 From Hideo Yokoyama, the celebrated author of Six Four, comes Seventeen—an investigative thriller set amid the aftermath of disaster. Born in 1957, Hideo Yokoyama worked for twelve years as an investigative reporter with a regional newspaper north of Tokyo, before becoming one of Japan’s most acclaimed fiction writers. His exhaustive and relentless work ethic is known to mirror the intense and obsessive behavior of his characters, and in January 2003 he was hospitalized following a heart attack brought about by working nonstop for seventy-two hours. Six Four is his sixth novel, and his first to be published in the English language, followed by Seventeen.